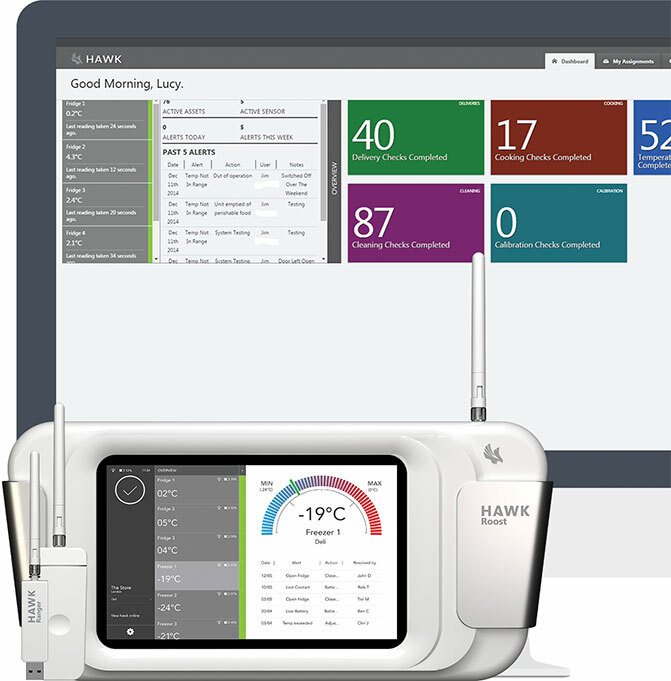 Hawk is an all-in-one food safety monitoring system designed to look after all of your food safety needs. 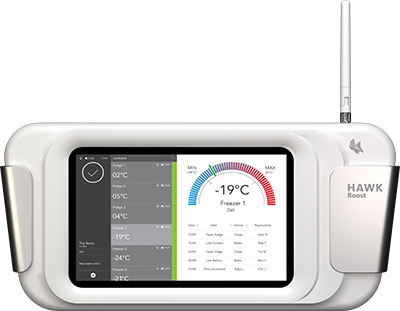 We manufacture and supply top quality sensors, probes and hubs to automatically record and monitor fridge & freezer temperatures 24/7 offering you complete peace of mind and data integrity. Our BioMaster protected fridge and freezer temperature monitoring equipment and bluetooth probes monitor all your critical control checks, and our completely customisable auditing and reporting technology ensure all your checks, incident reports and audits are logged and stored in a secure paper-free environment. It’s time to bring responsive technology to food safety, recording and monitoring. Hawk is a proactive, forward-thinking and ambitious company actively working towards helping businesses save time and money with a complete online solution.